This versatile reaching aid is designed for picking up small or lightweight objects around the home, in the garden, or when you're out and about. This helping hand grabber is perfect for picking up small or lightweight objects around the home. It is really useful for people with limited mobility or those that find it uncomfortable to stretch when reaching or bending. The ergonomically designed handle enables all four fingers to be placed on the trigger, making it suitable for a person with limited grip strength. The grabber rotates 360° so there is no need for the person using it to twist their wrist into an uncomfortable angle. It also has rubber-lined jaws which provide extra grip when lifting and there is a magnet on the end of the top jaw which means you can pick up small metal items such as pins, needles or keys. 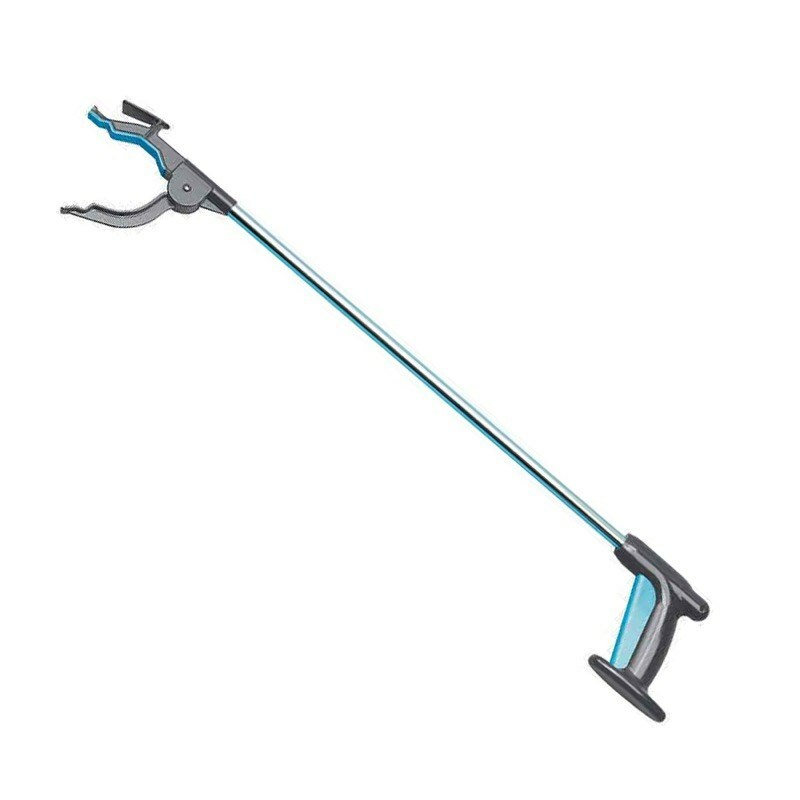 The Combi-Reacher also features an integral shoe horn and there’s a plastic clip on the aluminium shaft for storing the reacher on a walking frame.